A rowdy and hostile BMO Field set the tone for what turned out to be an aggressive 2nd leg of the Eastern Conference for the Toronto FC vs. Montreal Impact. Before any players appeared on the field for Wednesday's MLS Eastern final at BMO Field, grounds crew workers were already poking fun at the opposing team. 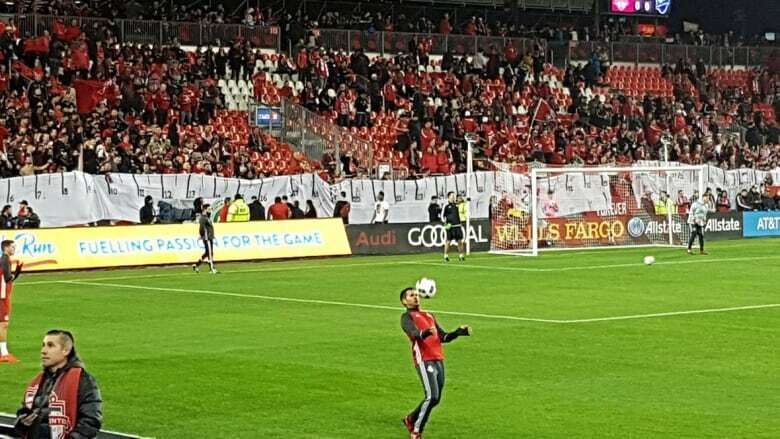 Toronto FC fans thought they might join in on the good-natured jabs by bringing their own measuring tape. With history on the line, the Montreal Impact knew they were walking in to a hostile environment as Toronto looked to bounce back from their loss at Olympic Stadium. But they maybe didn't expect tempers to flare as early as 13 minutes in when TFC's Jozy Altidore leaped into the air, colliding with the Impact's Hernán Bernardello. The hit was just one part of a classic matchup that had supporters from across the sports spectrum weighing in.